That statement above really touched me because I have found myself participating in worrying and it causing me to not work on things in my life that I can improve or resolve. I mean after all the worrying about a situation that I can not do anything about, I am too tired to focus on working on situations that I can do something about. I am too tired to focus on enjoying life. 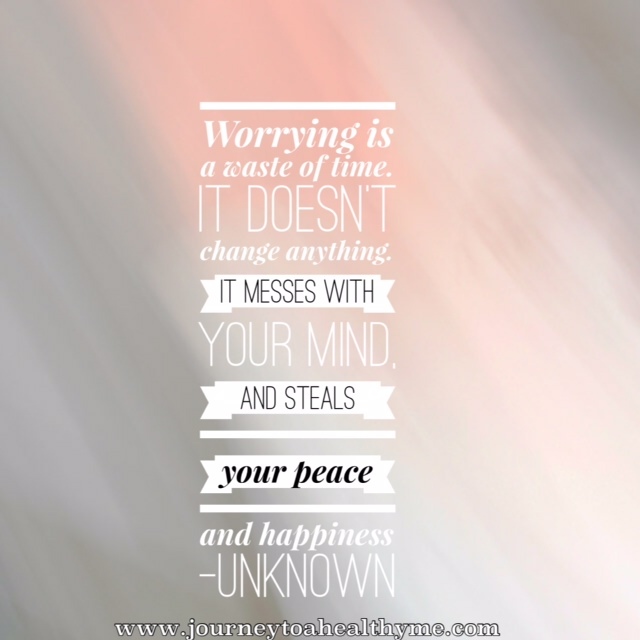 Have you ever been going through a situation and it seemed that all you could do was worry? I mean just worrying, worrying, worrying nonstop. Did it really help your situation? I can answer that quickly. No. I can say that I have found myself falling into the pit of worrying about some things that occurred in my life. It seemed so easy to do. I mean like it came natural but it actually did not solve or make the situation any better. Worrying about one situation in your life can alter all areas of your life. Due to all the energy that is required to participate in worrying, it can stunt your progress towards moving forward in situations that you can do something about. It takes away strength that you will need to continue on. It may even take away your ability to enjoy fun moments in life. I encourage you to practice on not giving power to worrying or allowing it to take strength from you. Trust me, I am not saying that this is going to be easy but it will be profitable for your life. 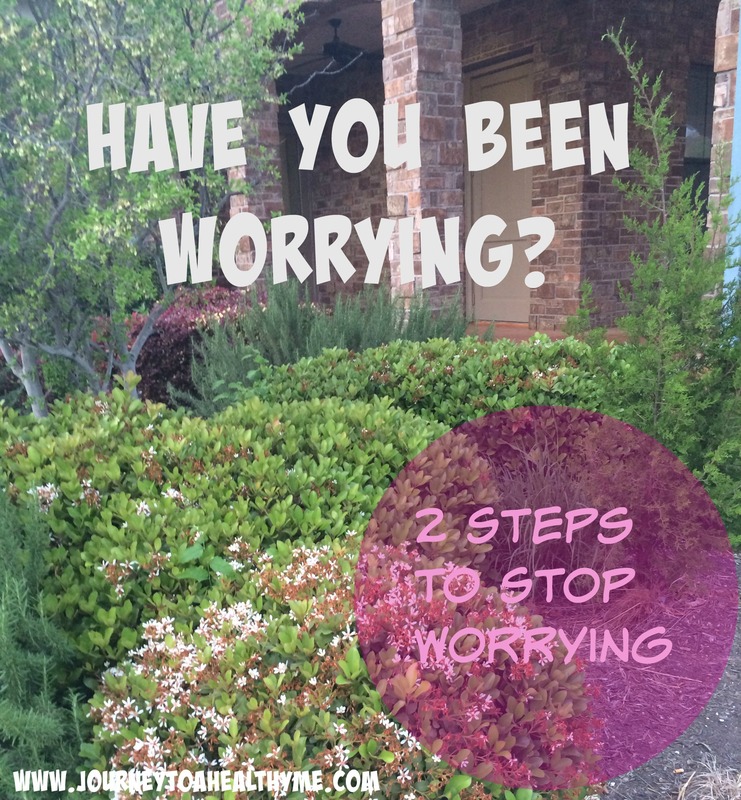 Here is a 2 step process (yes, just 2 step) that can help eliminate worrying from the equation of your situation. 1. Stop and take a look at the situation and see if there is anything that you can do to resolve it. 2. a. If you can resolve it, make a list of steps to succeed with resolving it and follow through on them. b. If you can not resolve it, make peace with that (We are humans who sometimes do not have any control on certain situations that occur in our lives but we can control how we react to them). As my husband always say, “If it is meant to be, it will be.” God has been really helping me with this. You will find in life that there will be times when you can do 2. a. but there will also come times when you will have to do 2. b. I am sure many of you reading this already participates in this 2 step process but difficulty may come when it is time to choose 2. b. If a situation arise and you need to do 2. b. but you choose to worry instead, you will take strength that is needed for you to do 2. a. for situations in your life that you can resolve. If you are used to worrying, 2. b. may be difficult at first because you will have to retrain your mind. That is Ok. You will have to be intentional. The more you do it, the easier it will get. I have been there and I am still working on it. I sometimes find myself falling back into the trap of worrying. I have to stop and realize how it is so important to not take the strength and energy that I will need to resolve situations in my life that I can control by worrying about situations that I can not control. I have to remind myself what I am giving up if I choose to worry. I have to remind myself that I have a choice. I choose to not let worrying control me. Again, I am a work in progress. Let’s encourage and motivate each other. What are some ways you use to stop from worrying? I would love feedback. Always a pleasure, look forward to reading your next post, they are always very good. True and helpful words well simplified. reminds me of the Serenity Prayer. I like to remind my clients that a step toward resolution may be getting more information. This is great. It is so difficult when something grabs our heart so tight and won’t let go. Worry is not easy to shake. Thank you for your post. I am going to repost it on my blog. Thanks. I can definitely agree that it is not easy to shake worrying. Thanks so much for the kind words and the reblog, Patty! Of course. You’re welcome. Well worth it. I found this at a blog I have never been to before and I loved it. 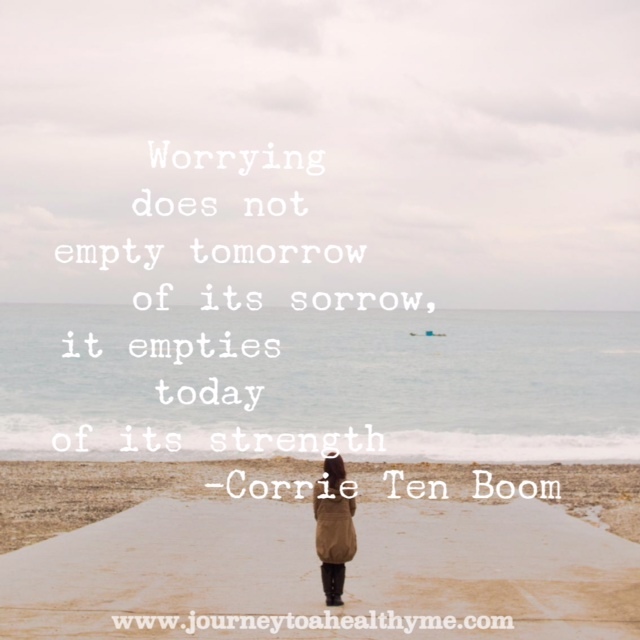 JcCee gives us some much needed advice about how to handle worry. Good, effective advice. I find the Serenity Prayer to be of help: God grant me the serenity to accept the things I cannot change, the courage to change the things I can, and the wisdom to know the difference. Thank you. May you find more peace. my friend always tells me, in his words, “you can worry for the world”. I’m seriously trying to put a stop to that.. I do so mainly by applying God’s word to every situation or thing I’m worried about. Once I do that, I become calm and allow him to lay out solutions to each situation.. Always works! Thanks so much for commenting with what has been working for you. I really appreciate it. God is good and I have been finding help in him also, especially with worrying. I was once the queen of worrying. Thanks so much for your insights, JcCee. I read somewhere in recent months that worry is not the same as prayer. It’s a helpful reminder that worry just seems to build on itself and get bigger. Prayer, on the other hand, allows us to give our concerns over into God’s care and then go about focusing on those things over which we have control. All that’s required for prayer to work is belief and faith in God. It’s a powerful act. You’re very welcome, Mary Adrienne! Yes, I am in totally agreement with you about prayer. It’s very powerful. We have to be willing to let God take care of it. God can do what we can’t. Thanks so much for stopping by and sharing your thoughts. I really appreciate it. God bless you. Great tips. My mom and grandma are constant worriers.. If they have nothing to worry about they find something. I’m really trying to get them to stop but when you’ve done it your whole life it’s tough to stop. 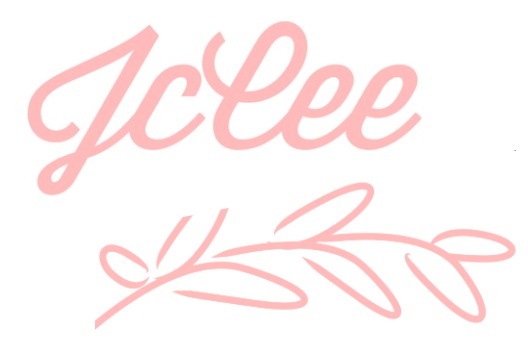 JcCee! This spoke volumes to me, and the sentence that stood out is “Due to all the energy that is required to participate in worrying, it can stunt your progress towards moving forward…” It happens to me a lot and unfortunately, sometimes it can spiral out of control. I have to know how to control the worry. I never worried a lot before, it just happened and the wierd thing is that I was conscious about this transition!